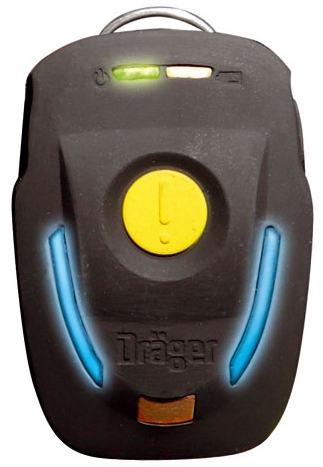 Tough yet lightweight, the Drager Bodyguard 1000 is the newest addition to the Drager Bodyguard family of PASS devices. Designed to protect life by alerting the team when a wearer becomes motionless or distressed, the Drager Bodyguard 1000 emits clear and distinctive signals and alarms to ensure quick and effective recognition, even in the worst environmental conditions. Designed for use with any SCBA, the Drager Bodyguard 1000 is a fully detachable, versatile PASS device which can be worn with or without breathing apparatus. At home in both Fire Service and Industrial applications alike, this innovative product enables the wearer to be quickly located when in trouble due to its clear, twin fascia warning lights and distinctive sonic alarms. This is achieved by utilising proven technology from the Drager Bodyguard 7000, together with a new and innovative signal design. TOUGH, RUGGED DESIGN - Rugged design for use under the most demanding of operational conditions, the Drager Bodyguard 1000 will perform time after time no matter how extreme the environment. Watertight to IP 67 and designed for use in temperatures ranging from -30 °C up to 60 °C. SIMPLE TO USE - With the same easy to use functionality as its big brother Bodyguard 7000, the Bodyguard 1000 features straight forward push button functionality to ensure simple operation, even whilst wearing gloves. The unit will perform an automatic full 'self check' upon start up. Accidental switch off during use is eliminated by the options of tally insertion or two-button push, depending on the operating mode. Bodyguard 1000 is free of periodic maintenance, with only battery replacement to plan, as and when required. COMPATIBLE WITH ALL SCBA - With optional alligator clip or securing clamp, the Drager Bodyguard 1000 can be quickly and securely fitted to any SCBA, in any position, whether at the shoulder, waist or backplate. NEW HIGH PROFILE AUDIBLE AND VISUAL ALARMS - After a nominal 25 seconds without motion and a further 8 seconds without cancellation, the Bodyguard 1000 will emit a directional full alarm to assist the fast location of a wearer in distress. Motion sensor timings can be configured according to preference by means of the RFID PC Link Module and a PC. In addition the high visibility twin fascia LED's enable location in conditions of poor visibility. Continuous low frequency flashing blue lights allow easy location of team members during normal activities, and allow team members to remain visible to one another. DATA LOG OF INCIDENT HISTORY - As with Bodyguard 7000, the Bodyguard 1000 comes with full data log functionality allowing the downloading of incident history using Dragers RFID PC Link Module and our Windows based software package. TEMPERATURE CONTROL DURING OPERATION - Bodyguard 1000 is equipped with a thermal alarm which sounds when the ambient temperature rises rapidly or exceeds safe working levels, making it unsafe for the user to remain in that environment. CHOICE OF OPERATING MODES - The device comes in a choice of operating modes, with either button operation or tally key operation for entry control applications.